The ongoing focus on reducing healthcare costs impacts the office environment and well being in the workplace. 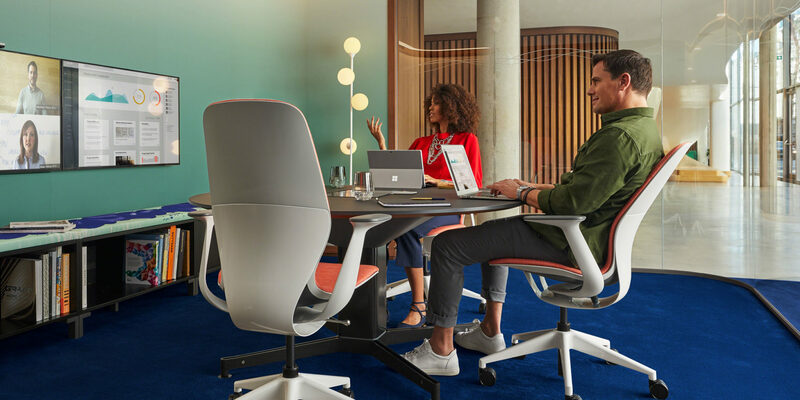 Companies are seeking to provide spaces that encourage workplace wellness with an increased focus on ergonomic chairs and workstations. AFD is helping our clients improve workplace well being in every design. We create spaces that naturally support activity by centralizing services to encourage employees to stand up and walk regularly throughout the day and by providing adjustable height desks. Educating employees on well being in the workplace and proper positioning of ergonomic chairs and use of adjustable height desks is key to reducing muscular fatigue and potential injury. For companies that don’t fully promote principles of ergonomic chairs and furniture as a means to well being in the workplace, workers continue to suffer from task-related injuries, and businesses suffer from associated high costs to employers. Work-related musculoskeletal disorders (MSDs) now account for more than one-third of all occupational illnesses and injuries in the U.S. according to recent information from the Bureau of Labor and Statistics. In every industry, we’ve seen the economic benefits of having ergonomic chairs, adjustable height desks, and workplace wellness programs in place. Reports of success include fewer workers’ compensation claims, decreased cost per claim, less short-term disability and increased productivity.